If there is a problem, you will be able to see where it occurred using a screenshot. You will be able to know how long the processes take as a whole and in every step, detecting bottlenecks. You can have access from different locations, as it is a fully decentralized process. You will be able to create the user experience test with a recorder, without having to code anything. You will use the same software and data network as your clients, since these are not simulations, but real transactions. 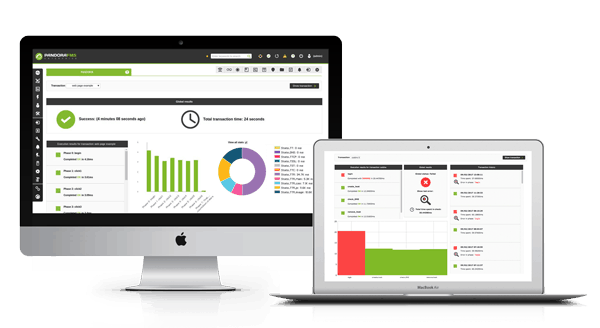 Get user experience monitoring from any platform: desktops, servers or raspberrys.